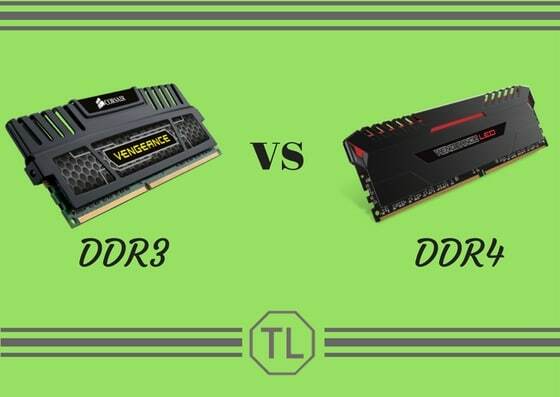 DDR3 vs DDR4: Worth The Upgrade in 2019? DDR3 vs DDR4 or DDR4 vs DDR3 is the big question most people ask these days. There are many things you need to consider before buying or upgrading your existing system with DDR4 RAM. If you are planning to build a PC right now then you might be really confused between DDR3 and DDR4 but we are here to help you figure out the solution. If you have a PC/laptop already then it will probably be using a DDR3 RAM and you may be think upgrading to DDR4 may increase your system speed heavily but you are totally wrong with it. Before knowing why? you need to know some of the major difference between DDR3 and DDR4. So, you will get a better idea of them and I will try not to be technical or go deep into hardware thing. Let’s get started. DDR3 vs DDR4: Who Wins? Is it Worth Upgrading to DDR4 RAM? What are the alternatives instead of upgrading to DDR4 RAM? The design is the most important thing which is changed in DDR4 RAM. Now, DDR4 RAM has 288-pin design while DDR3 has 240-pin design. So, increase in the pins will increase overall bandwidth. DDR4 RAM size is same as DDR4 RAM but to accommodate, the extra pins added DDR4 RAM has a less pin-to-pin distance of 0.85mm rather than 1.00mm in DDR3 RAM. If you already have a PC and want to upgrade then you need to know whether DDR4 will support your PC right? A DDR3 slot which is present on your motherboard cannot be used for DDR4 RAM. I mean only those motherboards which are manufactured after 2014 will be compatible with DDR4 while the motherboards which are manufactured before 2014 are not supported. Another thing is some processors may not support DDR4 RAM while and some processors will only support DDR4 such as Intel Skylake which only support DDR4 with some issues with DDR3 in long-term but some motherboard manufacturers made DDR3 RAM compatible motherboards. If you have an older processor then it may or may not support DDR4 RAM while if you are buying a new one then it will support DDR4 RAM. DDR3 RAM has a memory capacity starting from 1GB to 8GB for single module while a max of 16GB for DIMMs (Dual Inline Memory Modules). DDR4 has a memory capacity starting from 2GB to max limit technically. A clock speed of a RAM represents the speed of RAM to do read/write operations and speed is a big factor only in certain cases. A typical DDR3 RAM clock speeds will range from 800MHz to 2133MHz although we can’t find an 800MHz DDR3 RAM right now as the manufacturing of 800MHz DDR3 RAM has been discontinued. The above will clearly show that there is a very less difference in framerates between DDR3 and DDR4 RAM. So, you may not notice any difference in framerates while gaming. If you are not gamer then you don’t know the difference between DDR3 and DDR4. While clock speeds of DDR4 RAM range from 1333MHz to with no max value. If you are running an old PC then they are chances that you might have 800MHz DDR3 RAM or 1333MHz DDR3 RAM. If PC/laptop is new then you will probably have a 1600MHz DDR3 RAM. So, if you want higher clock speeds with greater stability and future proof then you might consider upgrading your RAM to DDR4. Also check: If you want to play graphics intensive games then you need to have a graphics card along with RAM. Games use video memory more to render games properly and quickly. Check how much vRAM you need to play latest games. DDR4 RAM is designed to be power efficient so they will operate at lower voltages i.e.., 1.05v while DDR3 RAM will operate at a minimum voltage of 1.35v. The improvement in less voltage consumption will look lower for a normal system but will help you save a lot in Mainframes. What it means is DDR4 consumes lesser than 1.2v and maintains stability at lower voltages. On the other hand, DDR3 RAM consumes more voltage than DDR4 i.e.., 1.35v and not stable as DDR4 in voltages. So, in terms of voltage maintenance and power consumption DDR4 is the clear winner. DDR4 will be more powerful than DDR3 but the term More is very negligible when we compare the Prices of DDR3 and DDR4 RAM. DDR4 RAM is very expensive for the less increase in performance they offer for the price. We can clearly say, DDR4 RAM is the winner outperformed DDR3 RAM on all aspects. DDR4 consumes less power and operate at lower voltages than DDR3. DDR4 has options for higher clock speed than DDR3. 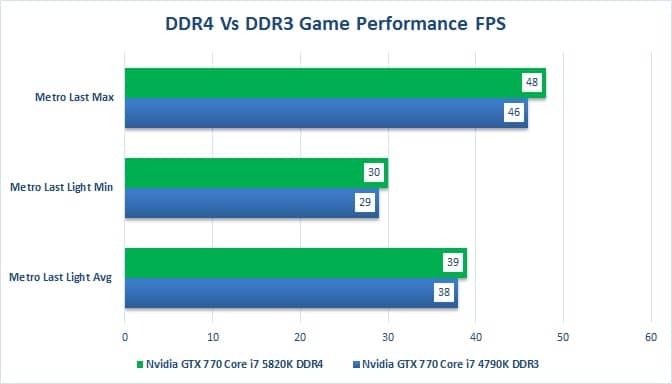 The important thing is, DDR4 is more stable and future proof than DDR3 RAM. I know, it is really even now to decide between DDR3 and DDR4 but you don’t need to worry about that is DDR4 better than DDR3 and vice versa. If you are buying a new PC and you are more into gaming and video editing it might be good to go with DDR4 RAM but it will be more expensive for the negligible improvement you get from DDR4 RAM. You need to have more RAM than powerful RAM most of the times. For example, if you are using so many tabs in chrome and you have 2GB DDR4 RAM then it will consume a total of 2GB. This will make the system hang. Suppose if you have a 4GB DDR3 RAM in the same scenario then there will no to less system lag compared to 2GB DDR4 RAM. Long story short, it really is worth upgrading to DDR4. But always remember that you should get only the best when you buy the best DDR4 ram for gaming or for your computer. If you have an old PC and want to upgrade then here are some other possibilities you have rather than upgrading to DDR4 RAM as it is expensive for a minor sort of improvement in speed. You can get some extra DDR3 RAM ie., 8GB or 16GB RAM stick with higher speeds such 1600MHz or 2133MHz which will significantly improve the performance and multitasking. You can buy lower memory capacity SSD (128GB SSD) run your operating system with SSD which will increase the overall system performance and bootup time. If you have more budget then buy a higher memory capacity SSD and install all your software in SSD for an increased and buttery smooth performance. If you want even smoother multitasking and you do a lot of gaming and high memory intensive tasks then get a graphics card such Nvidia or AMD graphics with a memory capacity of at least 1GB. I hope these things will surely improve your existing system speed and may double the performance.